★The enclosed design of the drum sieve ensures a clean surrounding. 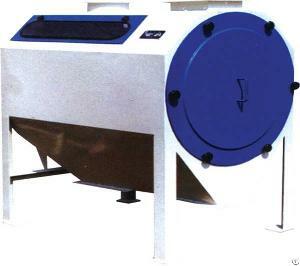 The machine is applied for grain cleaning in barley，wheat，rice and corn mills or in grain storage facilities (silos). It is widely used in preliminary cleaning of grain or animal feeds, which can efficiently reduces the wear and tear on the downstream equipment in the production process. The drum sieve reliably removes straw fragments, bag tapes, paper, pieces of wood, or corn (maize) cobs from fine- and coarse-grained bulk materials. Separate the coarse impurities from grain. It has features of high throughput capacity, low energy consumption, stable operation, compact structure and small footprint etc.